Every now and then a project comes along that you constantly keep looking back on and admiring how it all came together. 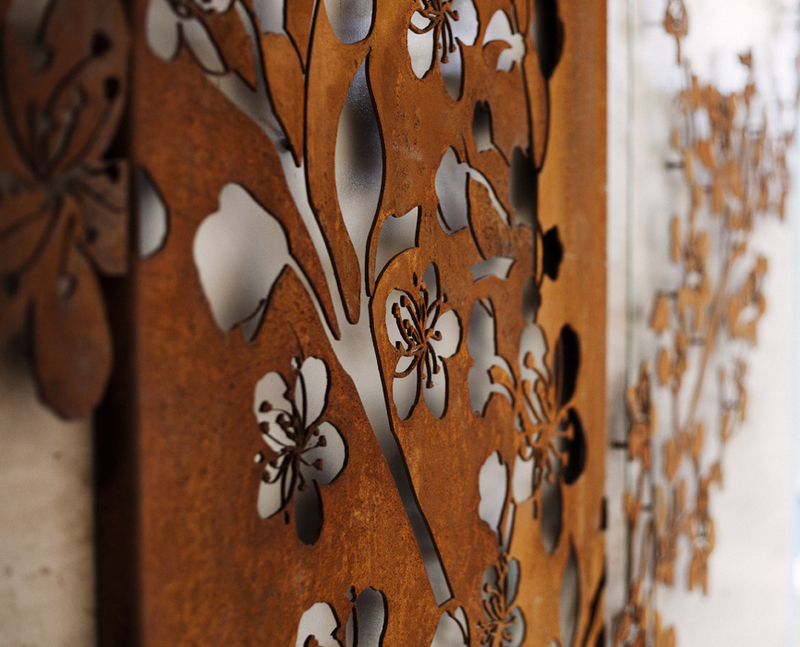 The Blossom by PO Box Designs is one of those projects. 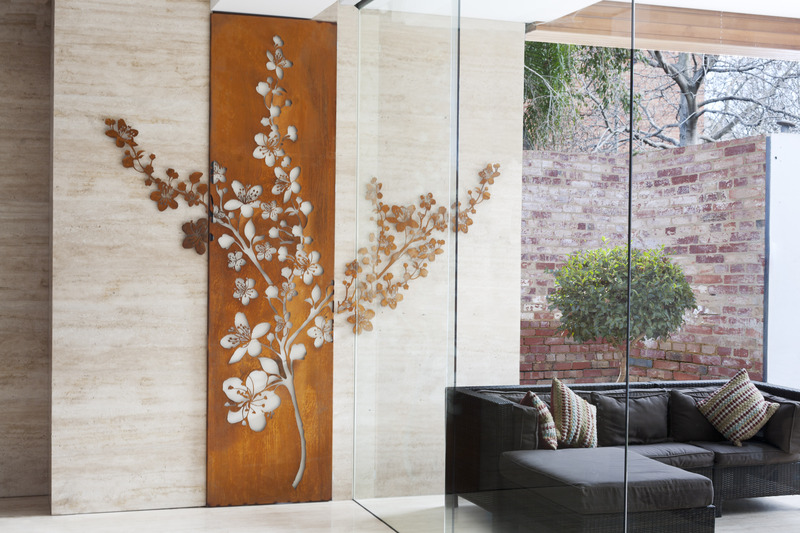 Starting off as a concept to conceal an unsightly door on the rear feature wall of this Fitzroy North home, we worked with the client to not only conceal the door but create a phenomenal artwork for the home. 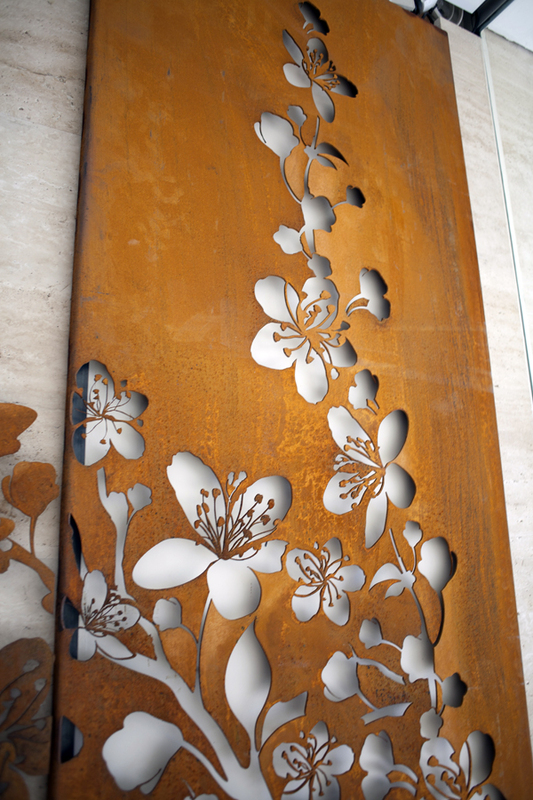 AS you walk along the long hallway through the traditional front half of this home, the Blossom stands out as the feature of this ultra modern rear extension. 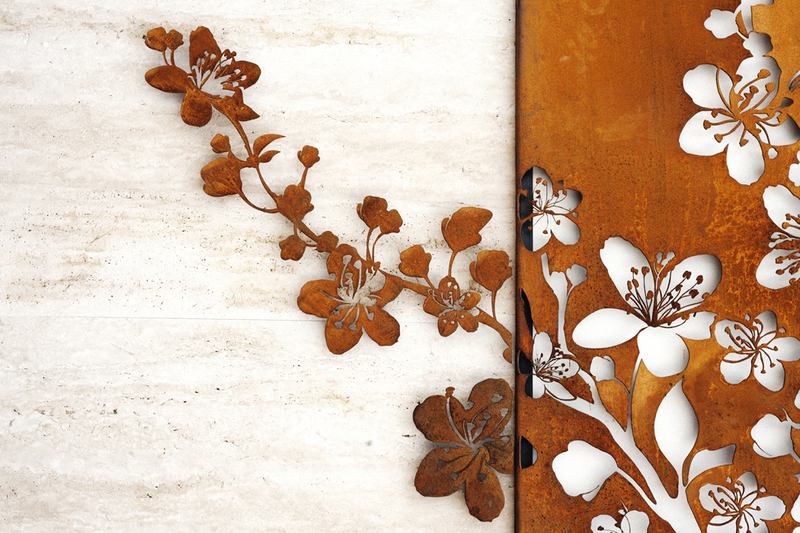 Standing at 3mt tall, the main blossom panel is fixed to the door. It opens and closes with every opening of the door, and an electric strike and small finger hole in the side fold allow the door hardware to be concealed. The extension pieces are then pinned 40mm off the stone feature wall and extend out both sides to give it a freeform style. The right hand side not only extends from the panel, it goes from inside to outside, with the design setup to make it look as if it extends through the glass to the outside entertaining area.